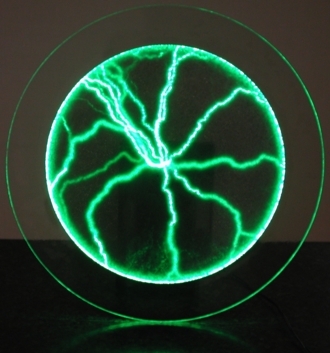 A plasma is a gas that has been heated to extremely high temperatures. At these high temperatures, the atoms are moving so fast that they loose their electrons, so we get ionized particles. Like charges repel, so electrons don’t want to be near each other. Likewise, the positive ions don’t want to be near each other. In each of these demonstrations (and in other plasmas like lightning), we see the electrons and ionized particles jumping from one place to another to try and get as far away from each other as possible. 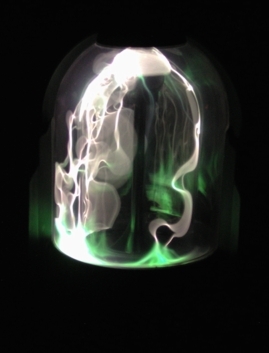 The plasma ball is a small Tesla coil. Inside the glass globe is a partial vacuum. This just means that some of the air has been sucked out. Because there is not as much air in there, it is easier to make electric sparks that can be seen. The electrons then travel out into the air from the glass ball. 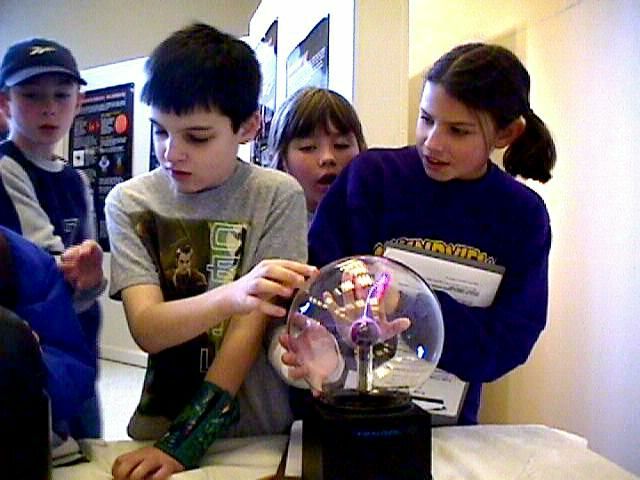 We know this because the plasma ball lights up the light bulb, just like the big Tesla coil. 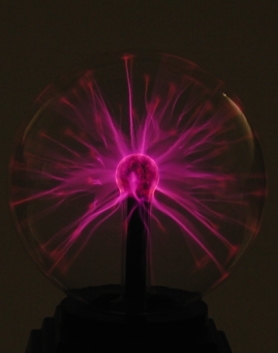 If you touch the plasma ball, all of the electrons will go through you to the ground. You see only one big spark inside the ball where you put your hand. 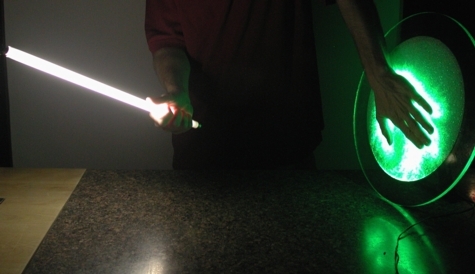 If you touch it long enough, you get filled with electrons and can light up a light bulb!